Suzanne, the 2 standard poodles and I, spent several days at American River on Kangaroo Island with Suzanne’s sister, (Barbara Heath) and her husband (Malcolm Enright) who had flown down from Brisbane. The days on the island were gentle, balmy late autumn ones. A storm hit the island just as I was leaving on the late Sealink ferry on Wednesday evening. These clouds and early morning light are what I saw on early on Friday morning when Kayla and I were walking along the Heritage-Trail through a familiar coastal landscape. It was so very still that morning. 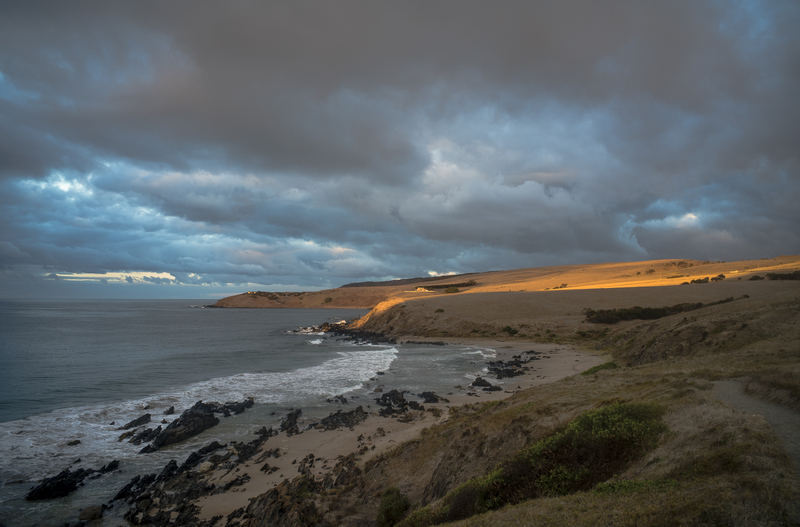 These are the kind of conditions that indicate that a dramatic change in the weather is about to happen; usually, they mean that the hot weather is coming to an end, and a big storm will be sweeping into the coast of the Fleurieu Peninsula from the south west. 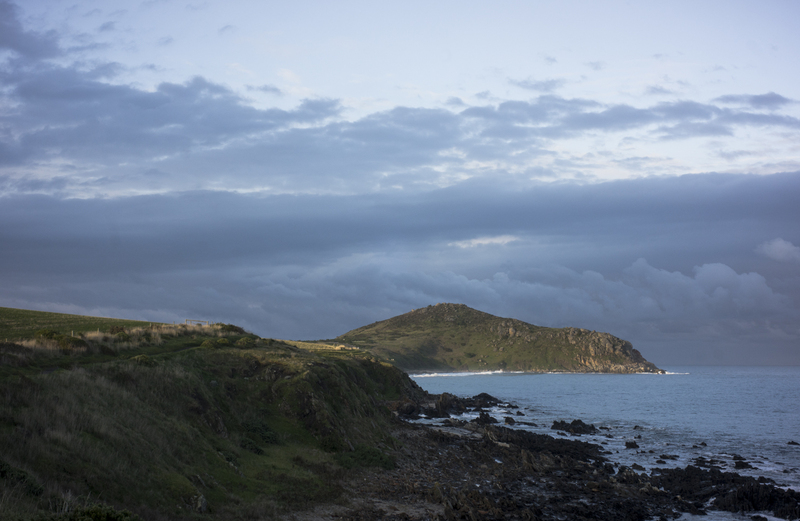 It was the morning of the 13th April, which is when the cold front with its wild winds and driving rain, hit the southern coast of the Fleurieu Peninsula in the late afternoon. And so it was on one fine summer morning that Kayla and I set out just after sunrise to walk along the Heritage Trail to Dep’s Beach and beyond. The sun was popping in and out of the morning cloud cover, the coastal wind was still light, and the Nankeen kestrels were keeping us company. We past the spot of the swirling seas and we made it to the western end of Dep’s Beach without encountering any kangaroos, runners, photographers or trail bike riders. We–Suzanne, Kayla, Maleko and myself–went for an afternoon walk along Tugwell Rd in Waitpinga yesterday afternoon. It was a way to move on from Ari’s recent death. His vulnerabilities in his old age had restricted where we were able to go on our walks. We hadn’t explored this part of Waitpinga for a couple of years. 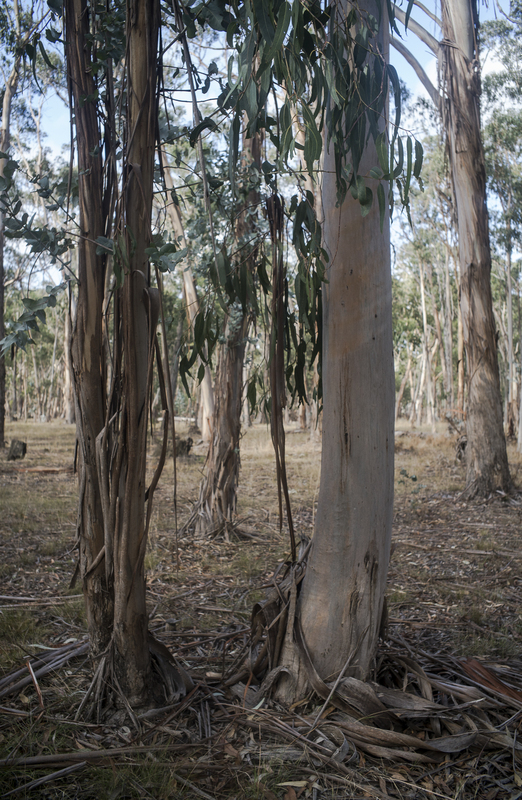 The last times was when Suzanne had walked some of these back country roads in the first year of walking the Heysen Trail. We were fortunate weather wise as the cold wind had dropped, and though rain from the south west was threatening, there was some late afternoon sunshine. It was a very pleasant and enjoyable hour of walking. 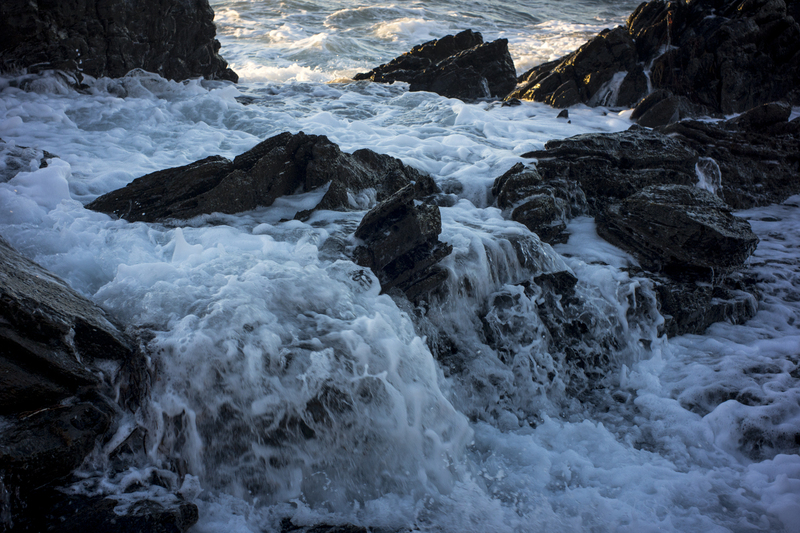 It is where a lot of my exploratory abstract snaps and those for the modest Littoral Zone project are done whilst I am making my slowly through the slippery rocks. Sometimes the tide is so high and the seas so wild that we are unable to walk amongst the rocks to Petrel Cove. We live just outside the left of the frame of the picture. We are a few minutes walk to the beach. It took us a while to adjust to living the coast after a decade or more of being in Adelaide’s CBD. The Fleurieuscapes exhibition at Magpie Springs opened on Sunday 17th January.We had a picnic lunch in the grounds of Magpie Springs with friends before the exhibition opening. A good crowd was in attendance for the opening and the atmosphere was convivial and summery. However, as I don’t expect to sell much work from the exhibition, I will be paying off my photography master card for most of this year. Whilst preparing for the exhibition Kayla and Ari and I walked along the Heysen Trail in the morning to avoid the crowds on the beach. Then Ari and Maleko and I walked along the beach in the afternoon. 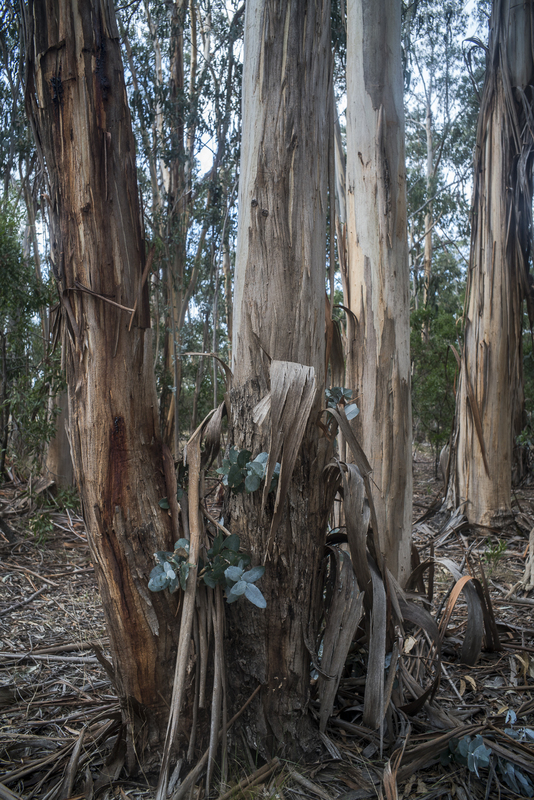 We stayed away from the Heysen trail in the late afternoon because of the prevalence of the black snakes. After returning from the Wellington trip the early morning poodle walks in Victor Harbor have been around Rosetta Head (The Bluff). We—Ari, Kayla and myself– have started walking on the Bluff at sunrise. This is just before 6am during the early summer months. I’m still interested in photographing the landscape around The Bluff in the early morning light now that summer is here, and the local landscape has that dried brown look. This is a landscape picture taken whilst standing on top of Rosetta Head or The Bluff in the early morning, just after the sun has risen. 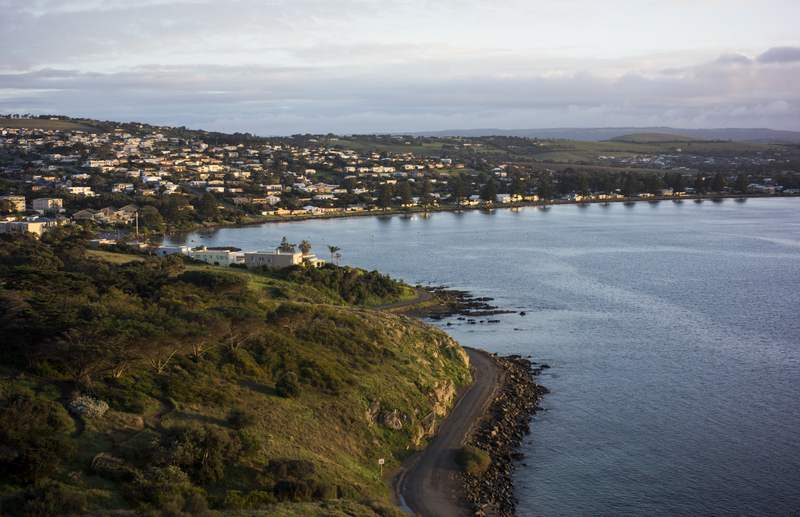 It is looking west and it shows the cliff top walk and the beaches that we enjoy when we are at Victor Harbor. Petrel Cove is in the foreground, then Dog Beach and in the distance Kings Beach and Kings Head. The ocean is the Southern Ocean. 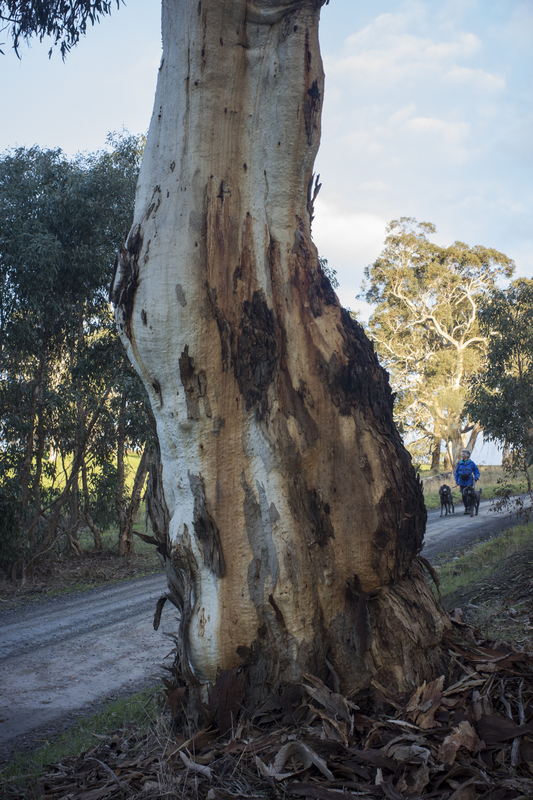 It has become a very popular spot as it is the beginning of the Heysen Trail. There are lots of locals walking their dogs, people fishing, as well as the usual bevy of day tourists. We–Ari, Raffi and myself— walked around The Bluff before sunrise this morning before we returned to Adelaide via Mt Barker. 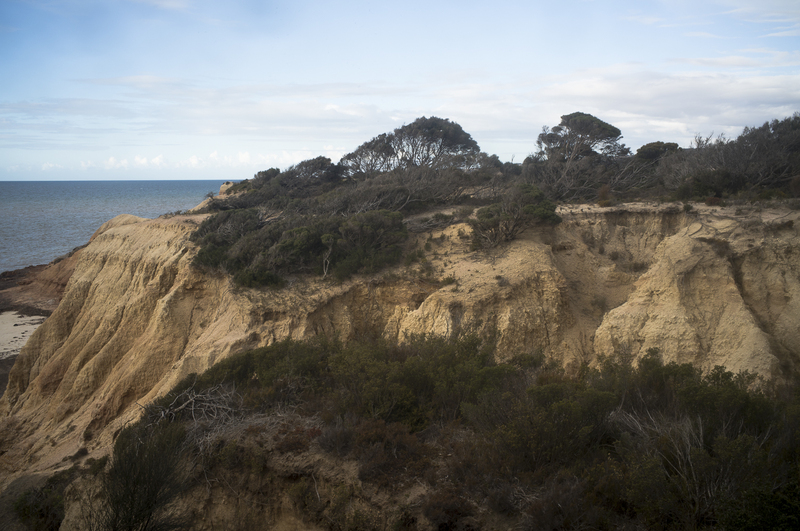 We returned to Redbanks, the cliffs on the Kangaroo Island side of Backstairs Passage, tonight for a 5×4 shoot along the cliffs. Though it was a 5×4 shoot we turned it into a bit of a picnic–wine and nibbles—whilst I waited for the light to soften. It was very pleasant watching the dolphins cruise by, waiting for the light and soaking up the moment, knowing that the heat will return tomorrow.